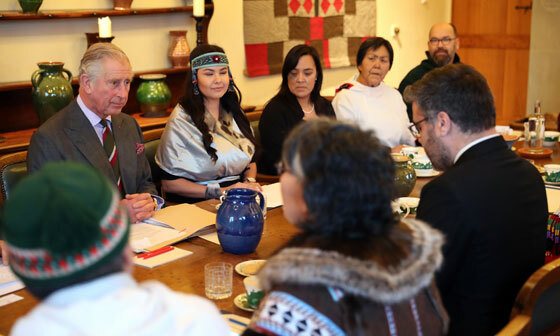 The Prince of Wales visited a school, community centre and sustainable business before hosting a roundtable with Inuit from Canada during a day of engagements in Wales. His Royal Highness’s day began meeting teachers and students at Fitzalan School in Cardiff. The school partners with Teach First, a charity that believes no child’s educational success should be limited by their socio-economic background. Teach First, of which The Prince is Patron, works with thousands of schools, businesses, universities and other not for-profit organisations who want to improve the life chances of children from low income backgrounds. Teach First have placed more participants at Fitzalan School than any other Welsh school, with 18 Teach First teachers being placed there since 2013. His Royal Highness met teachers who had been trained by the charity, and spoke to pupils during a visit to science and maths lessons that were taking place. Before departing, The Prince watched various performances by students, including a rendition of songs from ‘The Sound of Music’ and a dance piece. Smiles all round as The Prince of Wales gets a festive visit from Father Christmas at Fitzalan High School in #Cardiff! The Prince of Wales then travelled to Cardiff’s Cornerstone Community Centre, a newly renovated local community hub and Welsh Catholic heritage centre. The centre is housed in a formerly disused chapel, with the building dating back to 1855. The Archdiocese of Cardiff purchased the building in May 2012, and in December 2014, a grant from the Heritage Lottery Fund was made enabling that mission to be secured for future generations. Now fully restored, Cornerstone has a range of rooms for up to 250 guests, a new cafe and an award winning catering team on site, and has already hosted various social and charity fundraising events. His Royal Highness toured the centre and met members of the community who use its facilities and contributed to its restoration. It was then on to Coedcae Services in Bridgend, a sustainable tree services company. The company was set up by Dave Marchant with support from PRIME Cymru, one of The Prince’s Charities. PRIME Cymru provides older people with employment support. The Prince of Wales visited Coedcae Tree Services in #Bridgend, Wales, today. The company was founded by Dave Marchant, with help from PRIME Cymru, a charity set up by The Prince to provide older people with employment support. Coedcae Tree Services is a sustainable business based around the whole lifecycle of trees, and this year Mr Marchant was awarded PRIME Cymru’s Green Business Award. During the visit, The Prince was shown around the processing area and met staff. The day’s final engagement took place at Llwynywermod, The Prince’s Welsh residence. Guests from the Language Committee of Canada’s national organization of the Inuit, the Inuit Tapiriit Kanatami (ITK), had been invited to Llwynywermod for a reception and roundtable discussion. The committee is visiting Wales to discuss their work to standardise the Inuit language of Inuktitut and learn from the Welsh example of language revitalisation. 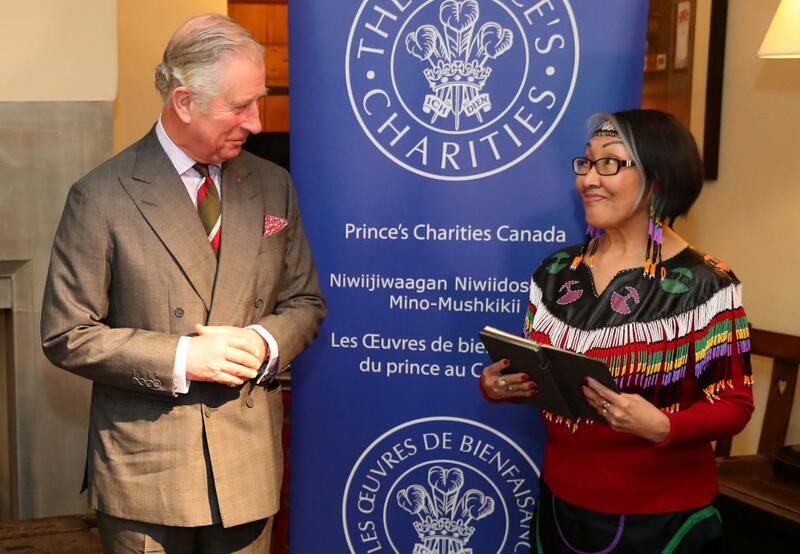 During the visit, the group updated His Royal Highness on their work to standardise the written Inuit language and discuss what they have learned from the Welsh experience.